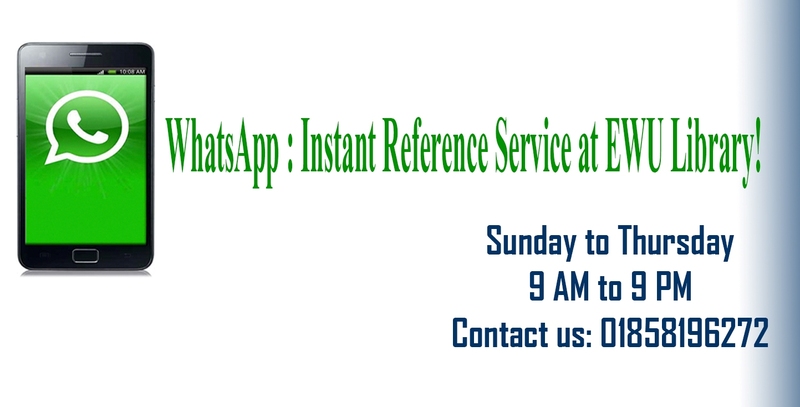 EWU Library introduced Instant Reference Service using WhatsApp for the first time in Bangladesh on trial basis for providing reference queries to its users. It is a direct and user-friendly service for Library users to contact library personnel. Users may ask about services and resources provided by EWU Library and request information immediately via WhatsApp messages. N.B. Requests received beyond the Library hours will be served on the next service day.